Need to learn to sew all over again or start from the beginning? 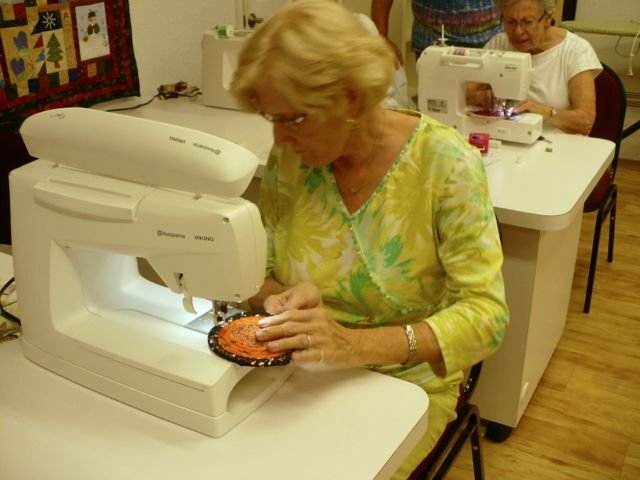 Jane's Sew Central's Adult Sewing 101 is a structured class series where students learn proper sewing techniques that can be applied to all sewing projects. Students will complete two projects: Pajama bottoms and a skirt. During the first class, students will learn about fabrics, patterns, and tools of the trade. During the second, third and fourth classes, students will make pajama bottoms and a skirt. We have classroom machines if needed. This is a four week class. Requirements: Sewing machine, fabric, thread and basic sewing supplies. Classroom machines are available, check with store personnel for availability.